Who would of thoguht that saving money could be fun! A plastic cube money box with a maze inside. 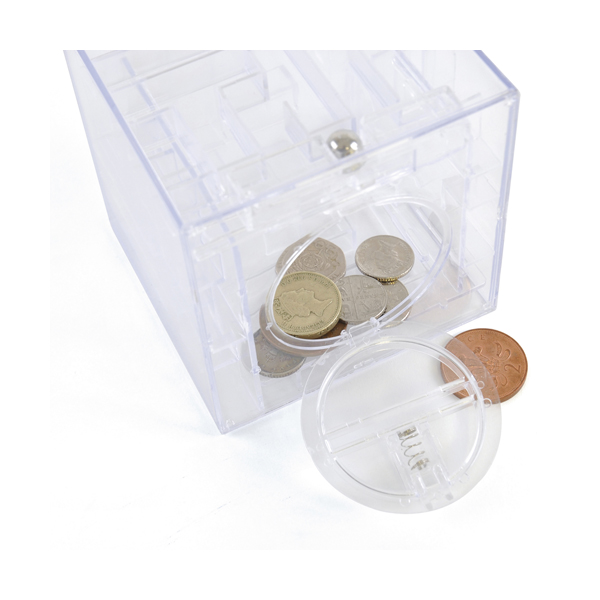 The money box can only be opened when the ball is successfully manoeuvered through the maze to the door. 2 great gifts in one, a money box and a maze game. EN71 approved.